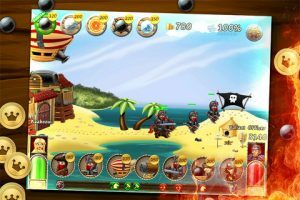 Wars Online iPhone Game Review: Defend Your Kingdom! 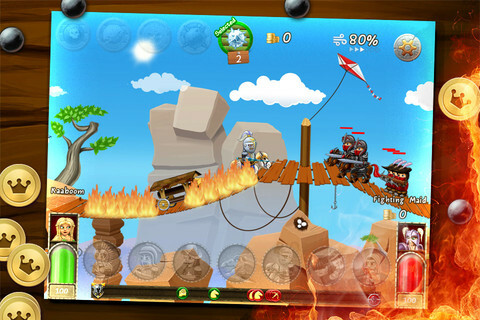 Wars Online is an iPhone game developed by MobeLabb. 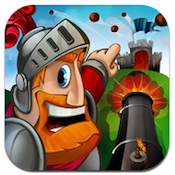 Your goal: defend your kingdom from invading forces! Wars Online is a 2D game that combines elements of tower defense titles, real-time strategy, and RPG games. Your army needs to be diverse in order to destroy your enemies, and there’s a great array of soldiers, weapons, explosives, and even healers to collect. There are two main game modes in Wars Online: single-player and multiplayer. Single-player is pretty standard castle defense gameplay. The graphics are solid, and the music is suitably epic and medieval in style. 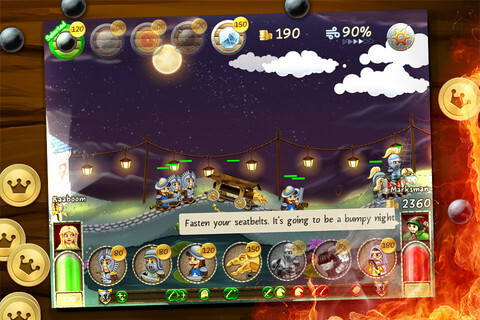 There are currently only 30 battles, however, which seems like fewer levels than in similar games at this price point. The damage that is done to your castle does look pretty cool, though. Multiplayer is a really cool mode, though it should probably be called “versus” mode instead. You can “taunt” your enemies with instantly translated messages, and you can see a constantly updated list of how many players are currently online. Signing into a randomly assigned game takes only seconds, which is nice. Like other reviewers, I’m a bit baffled as to why changing your player name seems to be so impossible, especially when you have the chance to play against other flesh and blood players. A battle of “no name” versus “no name” isn’t as exciting as it could be. 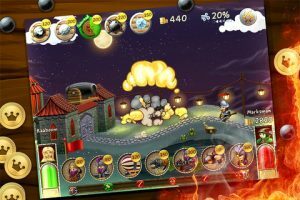 With Facebook and Twitter integration, tons of in-app purchases to upgrade your armies even faster, and challenging gameplay, Wars Online is a fun iPhone game that’s definitely worth getting while it is still a freebie. While it may not do anything revolutionary with the genre, it’s a solid title with little to complain about. Wars Onlineis compatible with iPhone 3GS, iPhone 4, iPhone 4S, iPhone 5, iPod touch (3rd generation), iPod touch (4th generation), iPod touch (5th generation) and iPad. Requires iOS 4.3 or later.